I was brought up in Oxfordshire and I now live in Oxford, which might suggest a man who likes to stick to what he knows. In fact, I make an awkward habit of shifting between worlds. I grew up in a quiet English town but have spent much of my life traveling and working in Africa. I have a love of science but studied English Literature. I grew up in Oxford but received a degree from Cambridge. I started off my publishing career producing books for West Africa and ended up creating websites and virtual learning environments for Latin America, Asia and Europe. Most recently, I left publishing to become a writer. So perhaps it is not surprising at all that I write fantastical novels about journeys to other worlds. I live on a hill with my wife Emily and my daughter Ella. THE BELL BETWEEN WORLDS is dedicated to Emily, who is my fiercest editor, kindest companion and tireless confidant. Tragically, Emily suffered a severe stroke just a month before publication, and our lives have been dominated by her recovery ever since. Nevertheless Emily has been at my side throughout the writing of CIRCLES OF STONE, and I cannot praise her enough for her courage, or thank her enough for her support. THE BELL BETWEEN WORLDS also contains a little tribute to Ella, too. Ella’s middle name is Neo (“gift” in Setswana), which is a particularly important name to young Sylas Tate – I won’t say any more for fear of spoiling the story for those yet to read the book. I write in sheds and coffee shops: sheds when I need to concentrate and coffee shops when I need the energy of people around me. I am pretty fussy about my sheds, which is probably more about procrastination than anything else. Shed renovation/tidying/cleaning/decorating can be a happy distraction from writing. 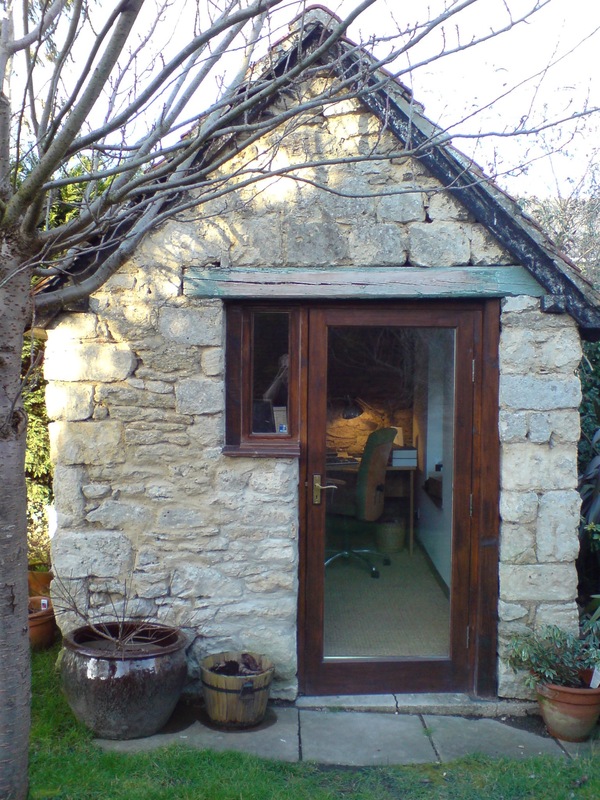 My first writing shed was in Littlemore, Oxford, and most of THE BELL BETWEEN WORLDS was written between its old stone walls. It was very little but perfectly formed: an ancient pony stable, which I renovated with the expert and patient help of my father-in-law, Adrian. 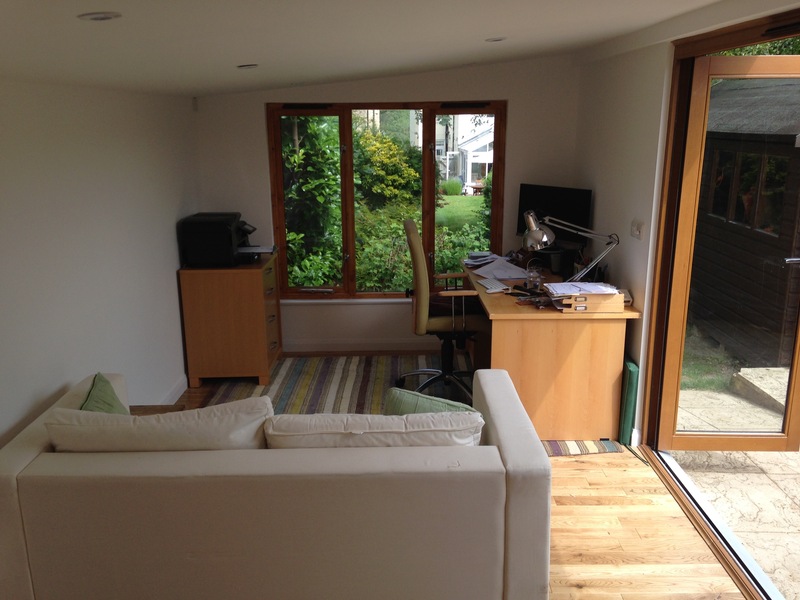 My second writing shed is in Headington, Oxford. It is much more modern and much more practical, but it doesn’t quite have all the character of Shed the First. It lacks cobwebs and crookedness. Still, I am very fond of it, and I am lucky to have it. It is at the end of my garden, so I get to commute each day, which helps to clear the mind. Particularly when I stop to do the gardening. Have I mentioned that sheds are great for procrastination? My tireless and brilliant agent is Ben Illis at the Ben Illis Agency.